Kuo in a report seen by AppleInsider says inquiries into potential 3D sensing solutions from Android brand vendors have at least tripled since Apple unveiled its TrueDepth camera system and Face ID in September. Prior to the announcement of iPhone X, the Android camp was focused on delivering incremental advancements in optical fingerprint recognition technology, namely systems capable of operating through a device screen. Apple, too, was rumored to be working on its own sub-screen Touch ID solution, though the company ultimately opted for facial recognition with Face ID. Rumors leading up to September's iPhone event suggested Apple chose to integrate a standalone 3D sensing system only after it ran into technical issues with an embedded Touch ID system. Reports later claimed the company has been "all-in" on Face ID replacing Touch ID for over a year. In any case, Android makers are looking to cash in on the high gross margins a revolutionary experience like 3D sensing can fetch, Kuo says. 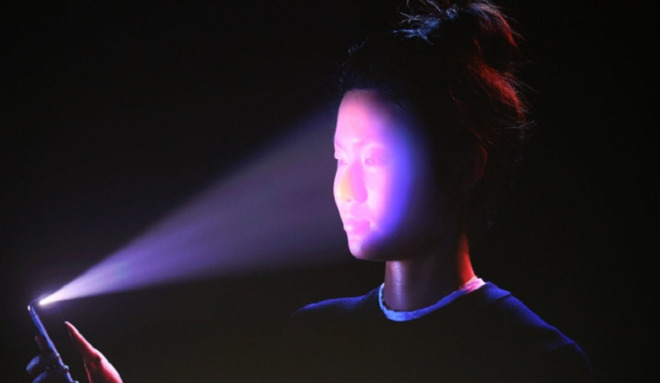 Compared to facial recognition, notably facial recognition of the variety introduced by Apple, traditional capacitive sensing systems are now seen as mere spec upgrades. "3D sensing not only enables facial recognition in security applications and allows users to create fun expressions like Apple's Animoji, on a more important level, it is a key factor in the development of AR," Kuo writes. "We therefore believe brand vendors are willing to spend more for related components." To that end, smartphone makers working with Google's operating system are likely to turn to 3D sensing products from Qualcomm and Himax, Orbbec, and Mantis Vision. The Qualcomm-Himax solution is attracting the most attention as the system is more mature than those offered by other component manufacturers. With smartphone brands moving away from fingerprint biometrics and toward 3D sensing, Kuo expects yearly shipments of Android devices equipped with 3D sensing components to outnumber those with under-display optical recognition by two or three times over the next two to three years. In addition to increased interest, the dramatic proliferation of 3D sensing technology will in large part be driven by its compatibility with LCD screens. As Kuo explains, under-display fingerprint recognition systems are for the most part exclusive to OLED panels. As that market is dominated by Samsung, availability of OLED components will remain capped. In a separate note, Kuo says Samsung has decided to integrate a compact image sensor (CIS) design instead of a "CIS+independent light emitter" arrangement for a sub-screen fingerprint solution set to debut in its Galaxy Note 9, due out in the second half of 2018. Unlike Chinese OEMs that use rigid OLED panels, which in turn require a "CIS+independent light emitter" system to facilitate fingerprint solutions, Samsung manufactures its own flexible OLED displays and can customize their hardware to suit CIS-only designs. As such, companies looking to integrate under-display optical fingerprint recognition systems in their products will have to rely on suppliers like Synaptics and Goodix.